DISCOVERY BNC adaptor board is intended to be used with the Analog Discovery tool to enable the use of standard BNC terminated test leads and probes. 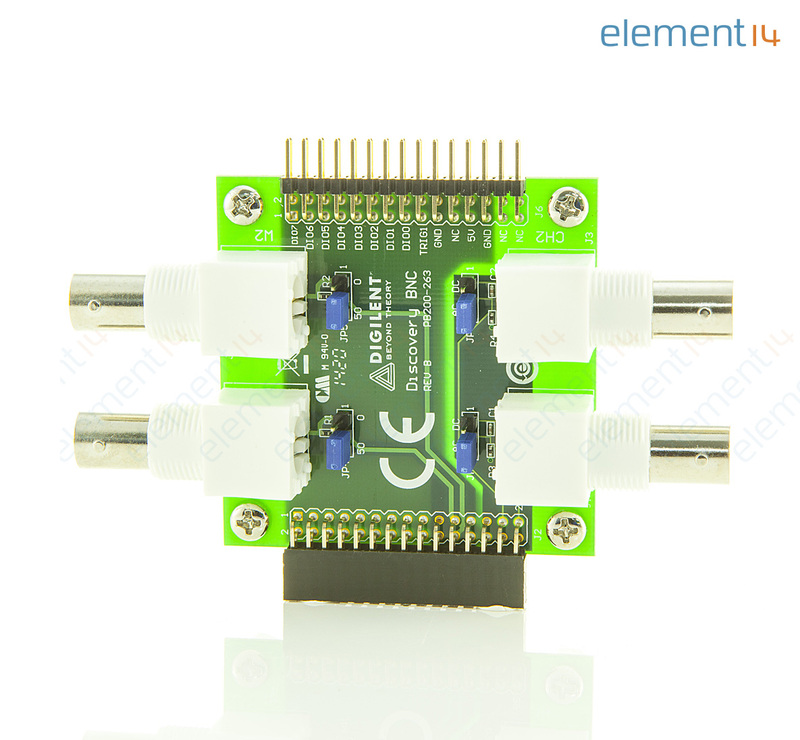 It provides BNC terminations to each of the two oscilloscope channels on the Analog Discovery. Each channel of the oscilloscope can be selected as AC or DC coupled by adjusting the jumper that is located behind that channel's BNC input connector. In addition, the two AWG channels are also equipped with BNC terminations, and each channel can have either the 50ohm or the 0ohm termination selected. This enables the user to match the Analog Discovery's output impedance with either standard 50ohm test leads or to be directly tied to the lead.